I liked Voit but he wasn’t going to play 1B over Carpenter. He has a chance to play now but I’m hesitant to say he’ll sustain last season’s output. Would you rather have Voit than Goldschmidt? That’s silly. Plus Martinez can be a backup 1B also. Voit may be great for the Yanks but (a) he wasn’t going to start over Carp and (b) he wasn’t going to hit behind Stanton, Sanchez, Judge, Torres and Andjuar in STL. I doubt his output would be the same without so much protection. Protection is a baseball myth. The Cardinals and Mike Schildt specifically has said Martinez will not play 1st and they will instead use other options there. At least you are funny. Even if you don’t mean to be. Dude that’s just a wrong statement in every way! Voit had no path to playing time at 1B as a Cardinal. Carpenter was entrenched there at the time and nothing he did in his minor league career would indicate what he did in 161 PA in a glorified wiffle ball stadium will continue at anywhere near that pace. He had 0 trade value and projections have him at like 1.5-2 WAR this year. Gallegos looks like a better bullpen asset going forward than even Jordan Hicks. Shreve was a worthwhile gamble on a LHP with good peripherals and bad results. He was just out of options and didn’t pitch well enough this spring to warrant a roster spot. Shreve was very consistent for the Yankees. He was either consistently good for an extended period or consistently bad. There didn’t seem to be a sustainable in between. This is good for the Cards. I am excited for the regular season to start. Is Webb out of options? No. He has one minor league option year left. Not sure there’s such a huge difference between Webb and Shreve…I think I would’ve kept Webb in the minors and held onto Shreve for the depth. It’s about the 40 man spot. Not options for the minors. Apparently, the final bullpen spot is between Webb and Brebbia, who are both vulnerable because they have options. Was it a numbers game with Shreve? I always thought he had potential. Ithougt he had potential too, but he hasn’t pitched to it. His control has been awful. 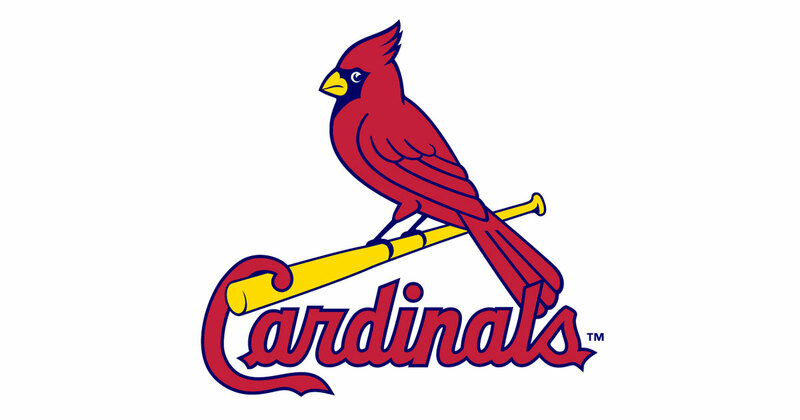 But neither Layne nor Webb have had particularly good Springs so maybe the Red Birds go shopping for another lefty. Seems like a pretty solid backup. I’m kind of shocked they DFA’d Shreve. Not surprised they found a way to keep Mayers and Wieters on the rosters though. I just expected Cecil to be the lefty left out, not Shreve. Cecil’s on the DL, so he isn’t taking a 40 man spot. Cecil is going to open on the 10-day injured list, not the 60-day, so he is indeed taking a 40-man roster spot. Cecil will probably go to the 60 day IL per the Cardinals’ insiders. Not sure you can DFA an injured player. Cecil, though, most likely will go the way of Jordan Walden, who spent nearly all of his Cardinals career on the DL until his contract ended. They don’t need to DFA Cecil (at least not yet). They can just option Webb or Brebbia (whichever one makes the team) to AAA when Cecil is ready to be activated. Bowtie got mesmerized by those pinstripes and wanted to make a cheap deal for help in hoping to catch lightning in a bottle. You mean he did exactly what every other POBO/GM in baseball does? Wieters > Knizer I guess. Knizner needs to be playing every day to continue to work on things. He can’t do that in St. Louis, so the best place for him is AAA. If Yadi is out, he’s most likely going to pull more starts, not Wieters. Although I think that should have happened with Kelley over Pena last year, so who knows if they would do that or not. Teams typically carry 2 catchers on the roster, and (usually) a young developing one in AAA that can be called up if one of the 2 catchers is injured. Knizner has been designated as the heir to Yadi. GM Dayton Moore of the Royals made a great comment the other day. He said there are fewer quality Catchers in MLB then there are quality QB’s in the NFL. He is correct. Being a quality Catcher in MLB has little to do with (silly) pitch framing or BA, but that’s all media sites can track. Knizner is a converted INF. He needs to learn more about carrying out the the duties of a Catcher. Fortunately he is in one of the best organizations to do that. I wouldn’t mind if the Jays took a shot at Shreve. Lots of bullpen spots available at the moment and he could be the second lefty to compliment Mayza until Richard gets moved back. Pena horrendously terrible at everything a catcher is asked to do. Wieters is a solid defender who managed around an overall league average batting line last year. I don’t even know or care why the Cards even bothered bringing Pena back to camp this year. I hope he does find another opportunity so they no longer feel the urge to bother rostering him at AAA over literally any other option inside or outside the organization. Good bye and good luck to Pena as he would seem to typify the futility of the backup catcher position during the Yadi era of virtually unrivaled bell answering. Einar Diaz and Tony Cruz say hello! Well, they did resign Pena before Weiters fell into their laps. I’m not sure why they thought it was a good idea to bring him back at all, but at the time he at least wasn’t meant to be competing with someone like Weiters. Uh….Wieters isn’t really a solid defender anymore. His framing stats for the last two seasons have been worse than Pena’s.